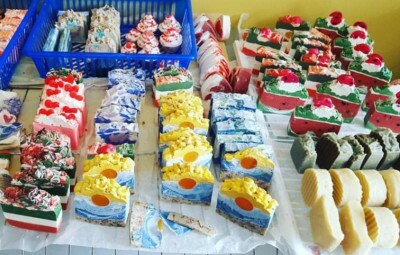 Cold Process soaps are made by mixing fatty acids and sodium hydroxide (oil & lye). When sodium hydroxide is added to the oils a process of saponification occurs which turns the sodium hydroxide, oils, and water in solid soap. Cold process soaps usually require between 6-8 weeks to cure, in order to ensure that the lye has been completely neutralized. With Hot Process soaps the oils and lye are combined to begin saponification. The main difference is that in this process the soap is essentially "cooked" in a slow cooker or double boiler. The heat speeds up the aponification process and the neutralization of the lye. 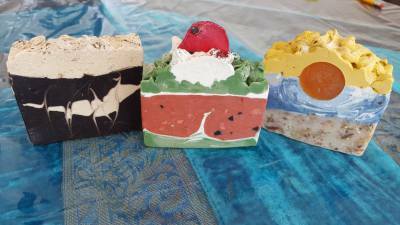 Hot process soaps can often have a more rustic look and are usually ready for use in less than 2 weeks. Our products are locally produced & handmade with love and dedication to the craft of soaping. Treat your skin with care and try out our natural, handmade soaps are a great alternative to your drugstore, generic brand, and chemical heavy soaps. Our moisturizers are natural and use the healing and moisturising properties of a number of healthy oils. 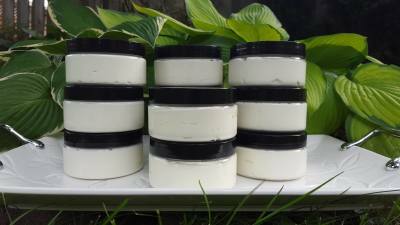 We create a variety of facial creams (day/night), eye cream, body butters, body balms, and hand creams/lotions for all different skin types. ​"It's never too early or too late to starting taking care of your skin."